We always make sure that our complete range of fuel management systems, fuel pumps and fuel storage tanks are of a consistently high quality and comply with all the vital regulations, standards and specifications of our industry. Fueltek is backed by the highest certifications and accreditations that showcase our commitment to our customers when it comes to quality, reliability and accuracy. The industry is constantly evolving and becoming increasingly specialised. Because of this, we believe that it is crucial for companies that operate in it, including Fueltek, to pursue industry-recognised certifications and accreditations. This would allow them to continue to offer products and services of the highest quality and comply with rules and regulations. Contact us today to request more information about our accreditations and certifications or to book site surveys and on-site demonstrations of our products. Alternatively, call us on +44 (0) 1254 291391 for any general enquiry or technical support query you may have. The ISO 9001 certification is a quality system that is externally audited to ensure that quality procedures are embedded into the company and its culture. This ‘International Organization for Standardization’ accreditation to Fueltek fully represents our assurance of quality in all departments and our consistently high standards. This certification also aims to improve customer satisfaction, including enhancing processes that improve services and products, whilst ensuring they continuously conform to current regulatory requirements. Our products are manufactured to conform to EN13617-1. This certification is undertaken by CML (a UK government appointed, UKAS-accredited and EU Notified body). This sets a manufacturing and installation standard required to manufacture and install products in hazardous areas. Compliance with the ATEX Directive allows Fueltek to safely place products for use in potentially explosive atmospheres onto the EU market. You can view our Quality Assurance Notification here. A health and safety standard which is externally audited every year to ensure that Fueltek’s health and safety procedures are up-to-date and relevant, and that we always follow and adopt good practices. The APEA is a UK-based group that promotes good practices in the industry and conducts specialised training courses in subjects such as Electrical Installations and Enforcement Procedures of Petrol Filling Stations. The organisation also offers advice and counsel to all members, Fueltek included, and aims to represent all sides of the oil industry, advance scientific & technical knowledge, supply & exchange information, and uniformise the interpretation and application of standards. We are members of Construction Line, a hub that helps construction industry purchasers to find the right company for the right job. They perform an ongoing vetting process to ensure that members meet the highest standards and that a purchaser can trust the database they have accumulated. This means Fueltek has met the rigorous standards set by the hub and that we are compliant and up-to-date with industry regulations. Our equipment has undergone EMC emission testing, which allows us to CE Mark it as safe from EMC, or electromagnetic emissions. By adding this certification to our portfolio, we assure the free flow of products between countries in the European Economic Area, as we can guarantee that our products are compliant with the existing regulations. 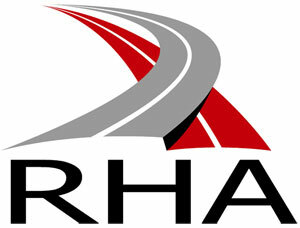 We are associate members of the RHA, or Road Haulage Association, which offers advice to road hauliers throughout the UK. This UK trade association is dedicated solely to the needs of road transport operators in the country and aims to champion their interests. It also makes sure vehicle emissions are within the regulated ranges, that companies in the industries, Fueltek included, are compliant with the latest industry regulations, and that businesses have access to fuel management tools, such as fuel cards.